Developed in Belgium and sold around the world, the Eurocast range is recognized as one of the leading brands of non-stick and totally fat free cookware worldwide. With its tough titanium coating, the Eurocast products are not only extremely durable, but deceptively light weight as well. 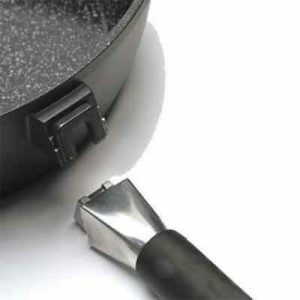 Their detachable handles and oven proof lids make them extremely versatile. They can move from hob to oven and back again with ease. This innovative cookware is also very energy efficient. 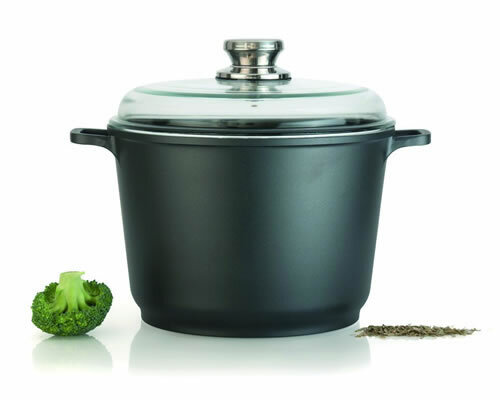 The ceramic titanium layer requires less energy to reach cooking temperature and also creates an even distribution of heat to ensure perfectly cooked food. They are also the healthiest non-stick products on the market. The BergHOFF Eurocast Professional line of cookware provides you with an excellent cooking surface which is non-stick, healthy, warp resistant and energy efficient. The new Professional series is a modern improvement on the perfect pan, the old cast iron skillet, but without the side effects of cast iron. Healthy, rust free, lightweight and guaranteed not to warp or buckle… ever! They are also deceptively light in weight making cooking feasible and enjoyable for all ages. The Eurocast range is also all about healthy cooking – the innovative “Ferno ceramic” non-stick surface means you rarely need to use any fat or oil. Being able to use cookware which is able to sear, fry and brown without oil is a very healthy way to cook and helps to retain vitamins, minerals and flavor. This cookware is ideal for the health conscious who want to maintain a fat free diet while enjoying delicious food at the same time. 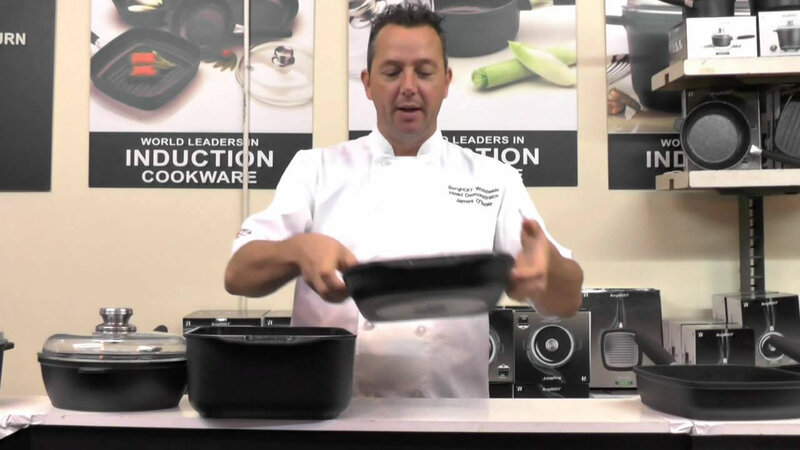 The Berghoff EuroCast Professional range of cookware are made with a double layer of Ferno Ceramic which provides the toughest, most durable non-stick surface on the market. The titanium and ceramic layers are baked in a kiln which makes it longer lasting, durable, stronger and less prone to damage. 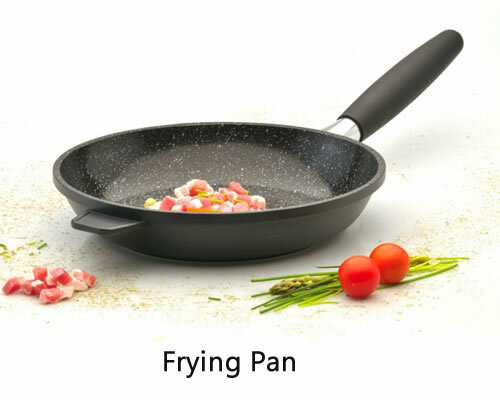 It is not only tough, but creates an amazingly non-stick surface which transfers heat quickly and evenly over the entire surface. 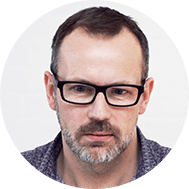 Not only can they be used on any type of stove – including induction, electric, gas, halogen and vitro ceramic, but they can all be used in the oven. 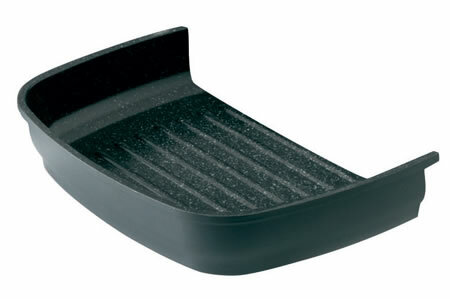 The ability to attach and detach the handles gives the professional chef almost unlimited flexibility and versatility. It is ideal for dishes that need both a direct and indirect heat source and allows you to produce interesting results that are only limited by your imagination. The Ferno Ceramic coating is the slipperiest, non-stick surface imaginable. It is ideal for cooking with little or no fat and makes cooking fried, poached or scrambled eggs so easy and simple. It is so nonstick and slippery that when mixing food in a pot or pan you sometimes have to be careful not to push the food right out of the pan! If you usually use oil to stop something from sticking then you no longer need to use it with this cookware. Using cookware which is able to sear, fry and brown without little or no fat is a very healthy way to cook and helps to retain a high conservation of vitamins, minerals . . . and flavor. 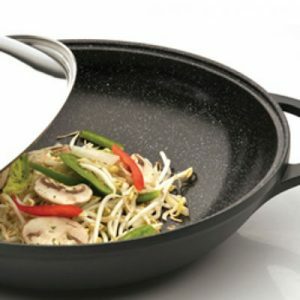 The non-stick surface not only works great while cooking, but makes the Eurocast pots and pans super easy to clean. Simply rinse them in some warm soapy water and they are clean within seconds. More stubborn residue can often be removed with some gentle scrubbing with a nylon brush or sponge. 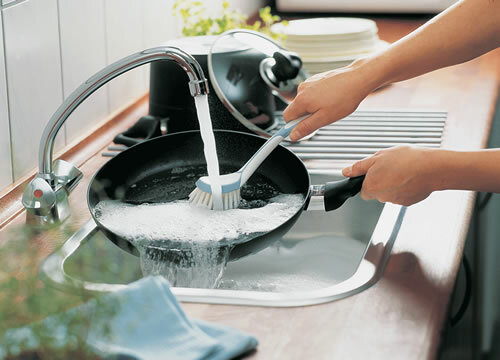 Tip: Use hot water on a cold pan and cold water on a hot pan. Washing up will never be the same again. Titanium and ceramic are extremely lightweight materials and are great conductors of heat. 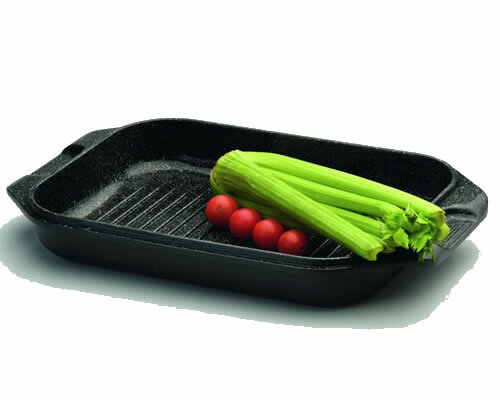 As a result, the Eurocast cookware does not have to be thick or heavy to do the job and are surprisingly light. Their light weight makes them great for stir frying or flipping a pancake, but it also makes them a pleasure to wash up and store away. 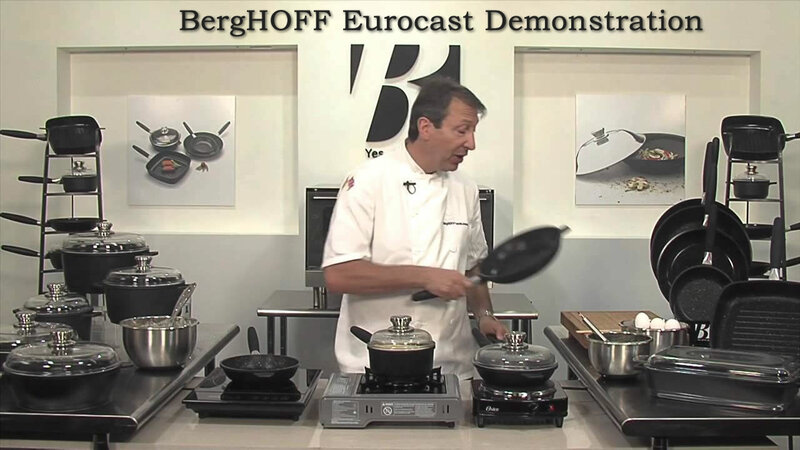 Th BergHoff Eurocast range makes cooking feasible and enjoyable for all ages. All Eurocast Professional Series Cookware saucepans, sautepans and sauce pots feature easy strain glass lids. 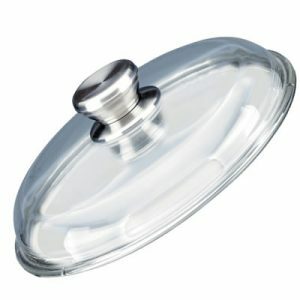 Glass lids allow visible inspection of the cooking process and they are also designed to allow excess liquid to be easily removed if necessary. 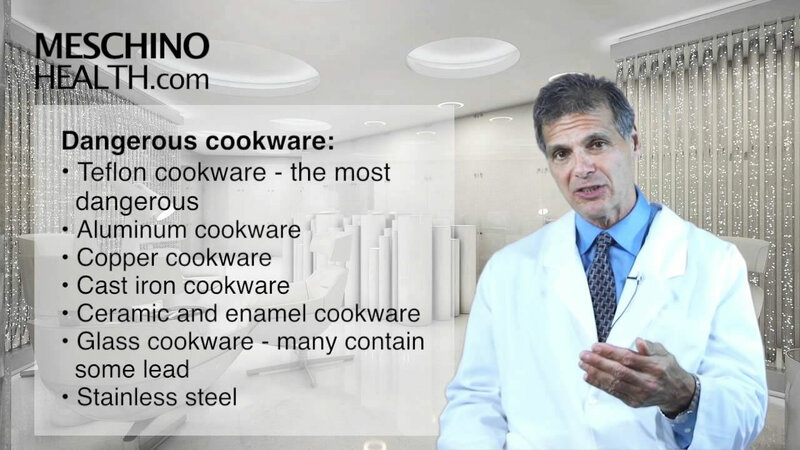 Cookware safety is the number one concern for cooks and chefs that use non stick cookware. 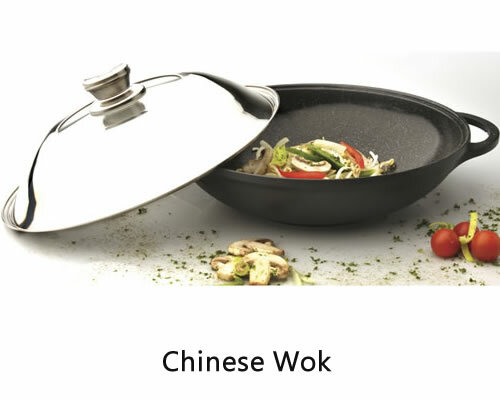 Ceramic cookware came about as a result of the dangers related to some non-stick sufaces that were found to release toxic gases which caused bird flu-like symptoms when inhaled. The BergHOFF Eurocast range contains no toxic PFOA chemicals and is glazed (in a kiln) instead of coated (or dipped) to ensure total safety. All Eurocast Professional Series products are covered by a 30 day money back guarantee and a 5 year warranty. Please follow the simple care instructions to ensure a lifetime of use and enjoyment. 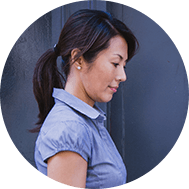 The warranty is applies to structural defects and not wear and tear or misuse. Register now and get 20% off! Our stocks will be arriving soon, but if you can’t wait to get your hands on this amazing cookware, we are offering you a 20% discount on your first purchase. Register with us now and you will receive a coupon code which you can use when you checkout. No catches. No obligations. Just our way of saying thank you for your support. I started with 3 and loved them so much I just recently ordered the whole set. Amazing!!! I’ve used all kinds of different cookware over the years. I must say Eurocast is the best I’ve ever used. 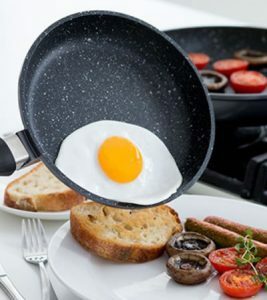 The Eurocast frying pans are fantastic! They are so lightweight that it makes cooking a pleasure. 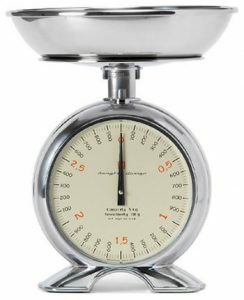 Which cookware is the healthiest? My kitchen is full of high end non-stick cookware. After a few years of use, none of my pots or pans are still non-stick. However, earlier this year, I started cooking on a new pots and pans called Eurocast. I was told you don't need butter or oil for this cookware and it's true. I have made bacon macaroni cheese, fried tofu, fried fish, scalloped potatoes and baked brownies and none of it stuck to the pan. When I was done cooking, I poured water into it and wiped it out with a paper towel. That was all the cleaning I needed! I've never used cookware of such infallible quality and ease of use. These pans are hands down the BEST for cooking eggs ever! Eggs just don’t stick…over easy really is easy! They also get hot enough to put a really nice sear on meats. The ceramic coating is wonderful…best non-stick surface I’ve found yet. 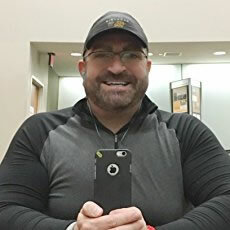 For example; for fried chicken I can use less breading; less fat and I get a nice crispy chicken. I’m also pleased with this pan’s durability and this is the 2nd one I’ve purchased. Don’t put them in the dishwasher; wash by hand and this pan will last you a nice long time and you won’t cringe at making scrambled eggs anymore! Pink Hippo Trading is the exclusive distributor of the BergHOFF Eurocast range in South Africa. 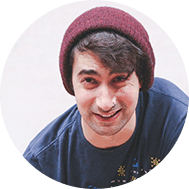 To provide the best cookware to the best people at the best price so you can make something awesome and have fun doing it while remaining safe and healthy.